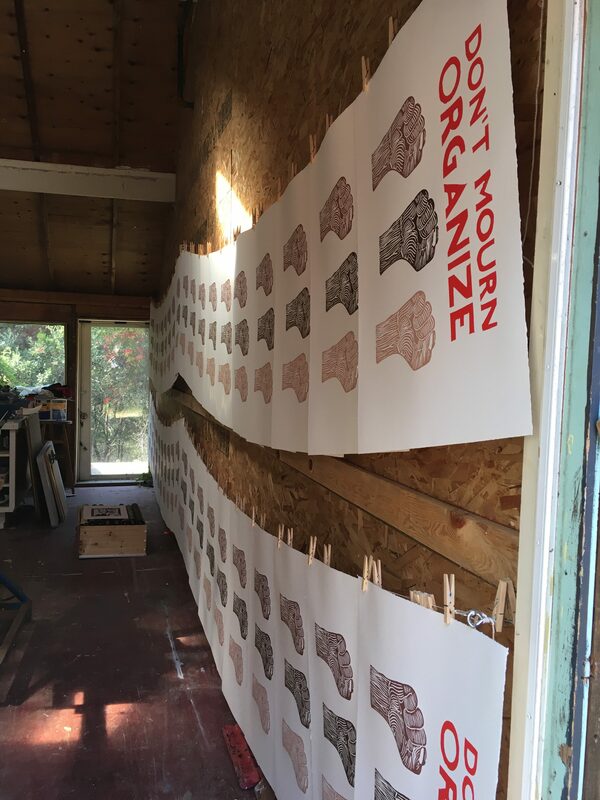 In November I founded a new project with called PRINT | ORGANIZE | PROTEST Koak and Craig Dansfield. The project is a network of independent artists and printers working together for radical social change. P.O.P. 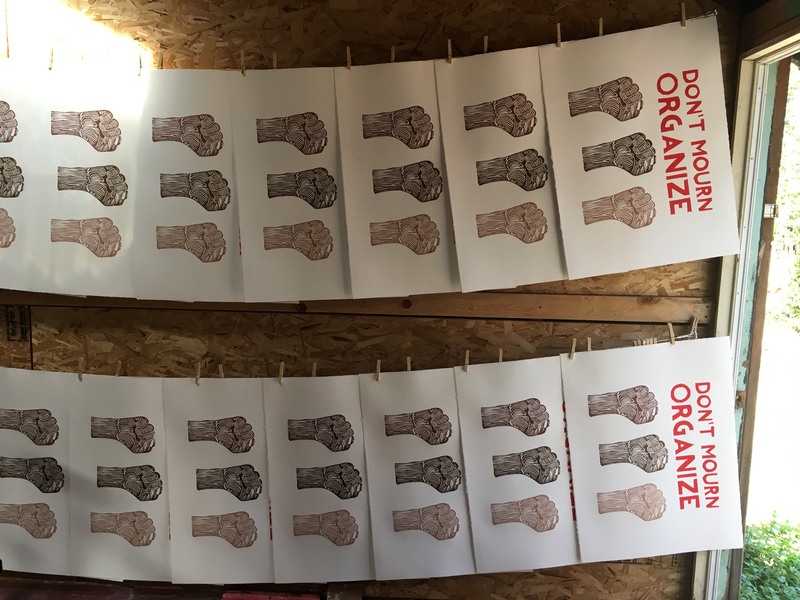 events are coordinated and autonomous- we work together as a collaborators to coordinate action-oriented printing days and open our doors to the public to come and print shirts, signs, posters, make buttons. 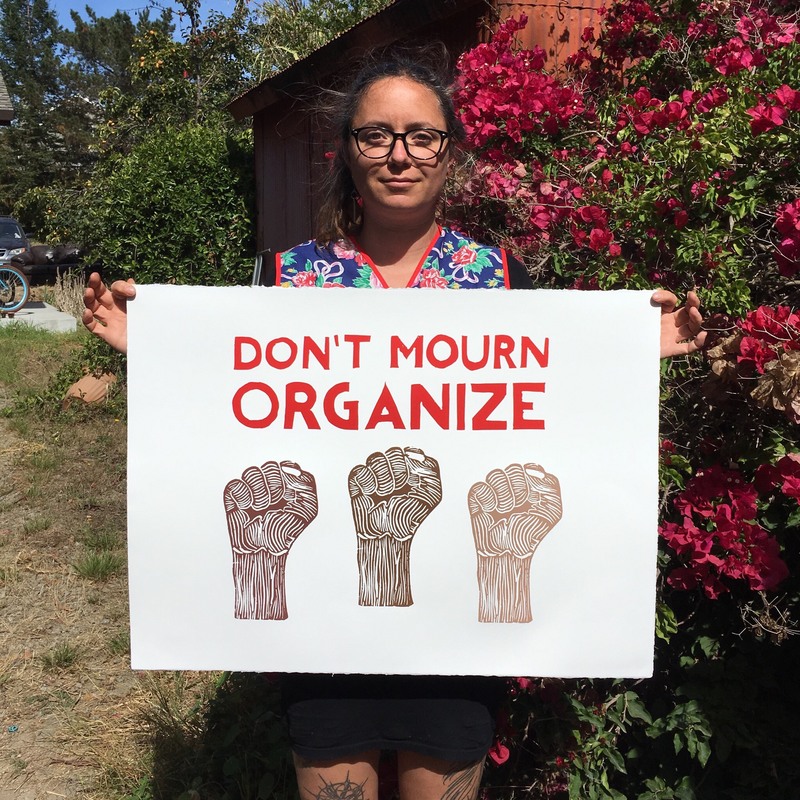 We encourage people to actively participate in local organizing events, including city council meetings, town halls, marches, demonstrations and protests. Here in Santa Cruz we’ve been using it as a way to get people ready for the General Strike. This month we partnered with Interference Archive who hosted a P.O.P. event during their Inaugurate Resistance Propaganda Party where they saw upwards of 500 people come through in two days! One of their founders, Josh McPhee was interviewed about project by Democracy Now! 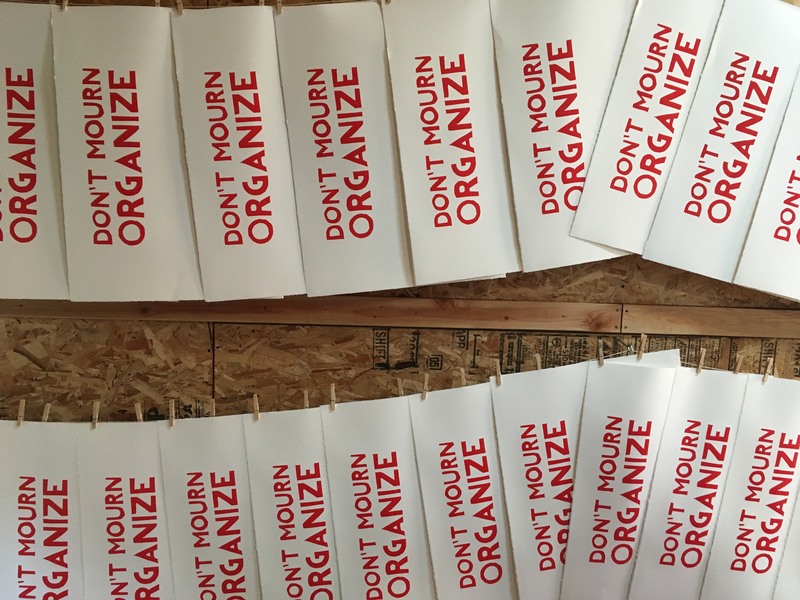 and the New Yorker, where my “Don’t Mourn Organize” print was used as the featured image. It’s all pretty exciting and pretty incredible.